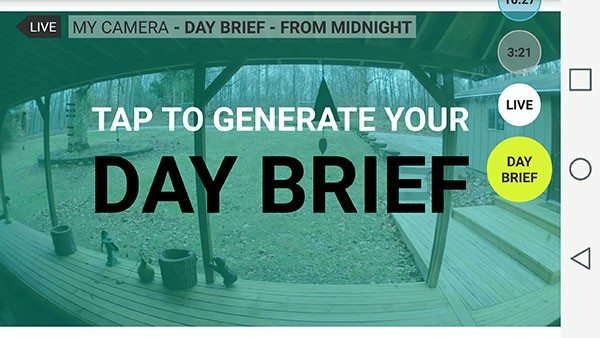 Home security cameras, IP cameras, cloud cameras, Wi-Fi cameras, no matter what you call them, they are handy gadgets that can help you keep an eye on your property, pets and loved ones when you can’t be there with them. Now more than ever, there are so many choices when it comes to these types of cameras and I’m about to make your life even harder by telling you about yet another camera. 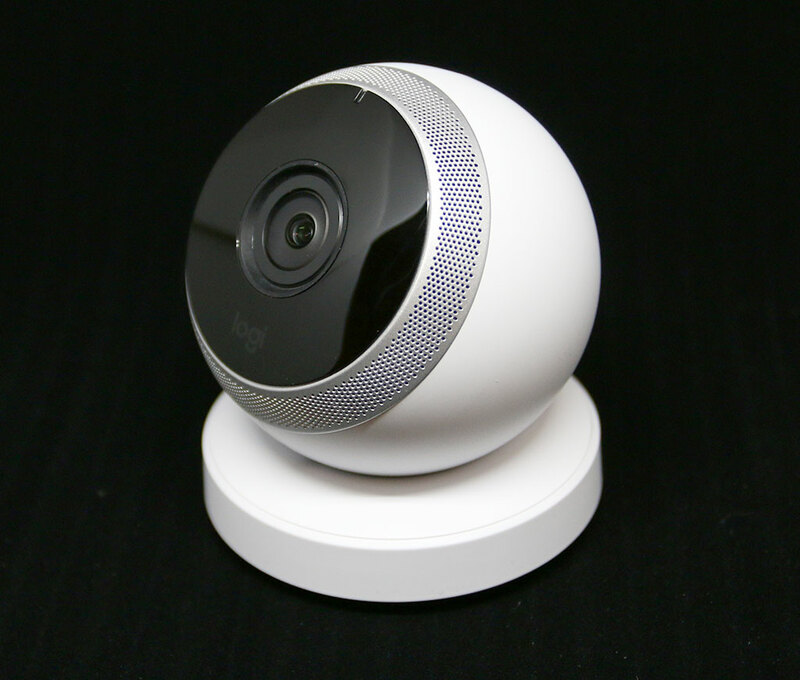 I’ve been testing the Logi Circle Home Connection camera from Logitech for the past few weeks. Let’s see how well it performed. It’s not hard to figure out where the Logi Circle gets its name. Although I probably would have called it the Logi Ball. 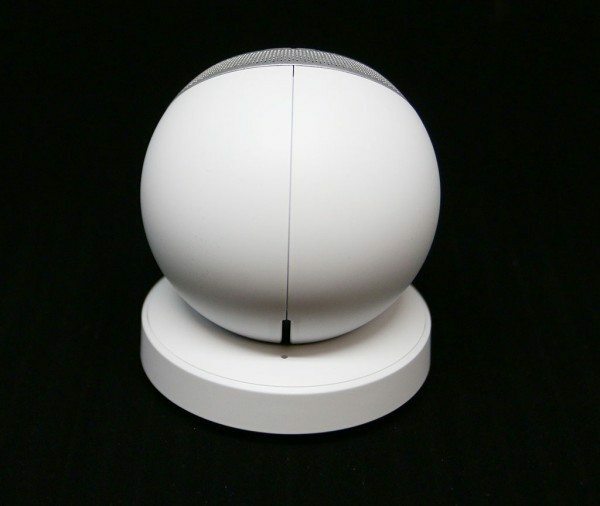 The Circle is an orb shaped camera that is available in white or black versions. The front has a large black “eyeball” with a status LED at the 12 o’clock position and a speaker around the edge for 2-way conversations. The camera is attached to a base, but it can pivot forwards and backwards to adjust the angle of view. One feature that sets the Logi Circle apart from the vast majority of other cameras is that it can be used completely wirelessly by detaching it from from the magnetic charging base. The base not only magnetically holds the camera,but it can also be used to mount the camera to a steel surface. 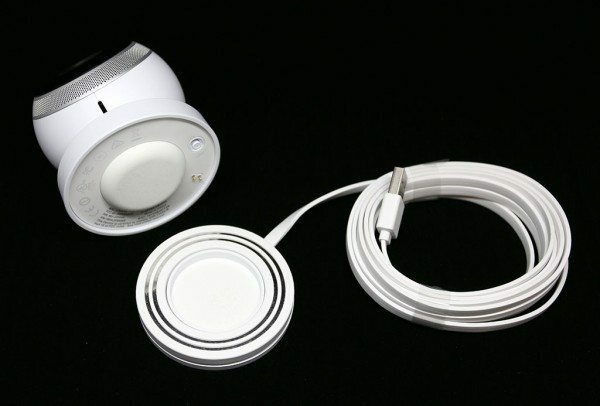 You can also easily position the camera on a shelf or other flat surface since the attached USB cable is 10 feet long. Setting up the Circle is quick and easy. Basically all you do is plug it in, install the Logi Circle app on your iOS or Android device and launch the app. It will search for the camera and immediately show you a live view. That’s all there is to it. The app is very basic. It immediately goes to the live view when you launch it. At the top of the view is a status bar with the name of the camera, the current time and the wireless signal strength. On the right are time stamped bubbles. Each bubble is a video clip that has been saved automatically when motion has been detected. Gray bubbles are activities that the Circle app thinks you can ignore or are not important. Blue bubbles are activities that the Circle app thinks are important. Tap one of the bubbles and you’ll be able to watch and save the video clip to your mobile device. Settings can be customized by swiping right from the left edge of the screen. There really isn’t much you can customize though. 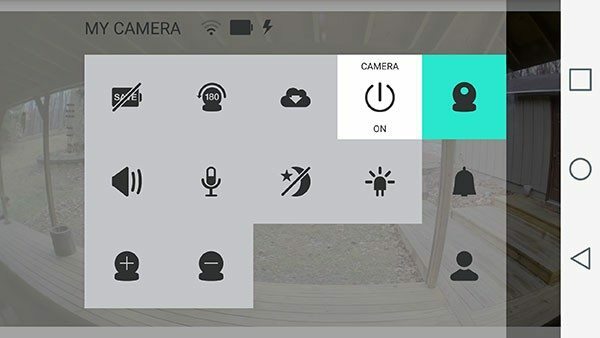 You can toggle battery saving mode which is used when the camera is used off the charging dock, flip the view 180 degrees, check for new firmware, toggle the speaker, microphone, night vision, LED and push notifications. The Circle has a 135 field of view with 720p image resolution. The quality is pretty good and can even be zoomed using gestures on the screen. I do wish that the Circle was 1080p, but for viewing on my phone’s screen, it’s just fine. Night vision works well too. 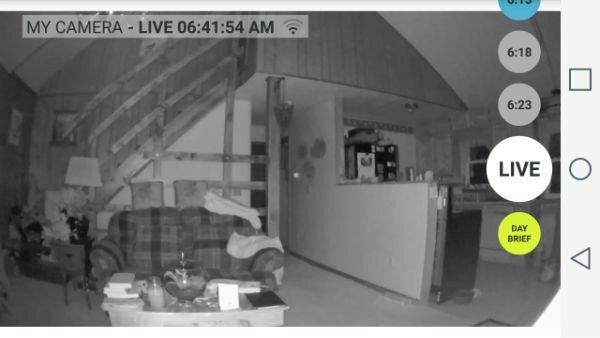 But just like every other camera that I’ve ever tried, the night vision LEDs will not allow you to point the camera out a window without creating a glare against the glass that totally obscures the image. As for the ability to use the camera wirelessly, I tested that and was a little disappointed that the touted 12 hour battery life only lasted for about 7 hours. Granted, I didn’t turn the battery save feature on until about 5 hours into the test. Even so, this is a handy feature that allows you to easily move the camera to a new location if you want to let someone remotely join in on activities. The 2-way audio feature will even let them hear what’s going on. I did come to find out that the 2-way audio is like a walkie talkie in that while you are holding down the onscreen button to talk, you can’t hear any audio from the other side. As mentioned above, push notifications can be toggled in the settings. 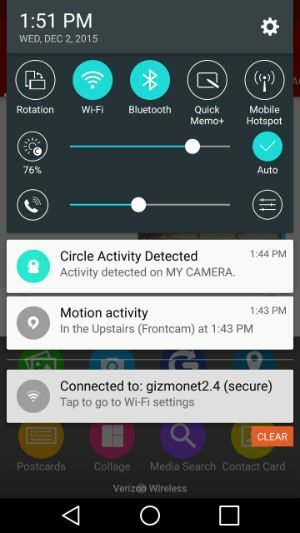 This feature will send an alert to your device when motion has been detected. However, the app won’t send another notification if a new motion is detected immediately afterwards. There is a 30 minute wait time between notifications, but you can go in and manually toggle the push feature on/off to reset this. To view the recorded motion events, you just go into the app and click on the time stamped bubble to view the recorded event. Unlike other cameras that I’ve reviewed, you can not configure specific watch areas in the viewed image so that motion is only detected in those areas. Also be aware that only the events from the last 24 hours are saved. You can download the video clips for later viewing, but you have to do this manually for each one. The Logitech Logi Circle shows a lot of promise because #1, it doesn’t require a monthly fee, #2 it’s easy to setup and use, #3 the day brief feature is handy. The only issue I have with the camera is that it’s only 720p resolution and it’s expensive for what it does. Otherwise, I like how fast I can launch the app to see what’s happening at my house. I look forward to seeing how the Logi Circle evolves. Source: The sample for this review was provided by Logitech. Please visit their site for more info and Amazon to order. Can the Logi Circle be used as an IP camera on a local network with software like Blue Iris or iSpyConnect or VLC streaming? In short, is it limited to use on the Logitech network or does it reveal an IP address enabling it to be used locally on a LAN without the Logi Cicle apps? I’m not sure as I’ve not tried any of those apps. Do I just need to find the IP of the camera to test it? 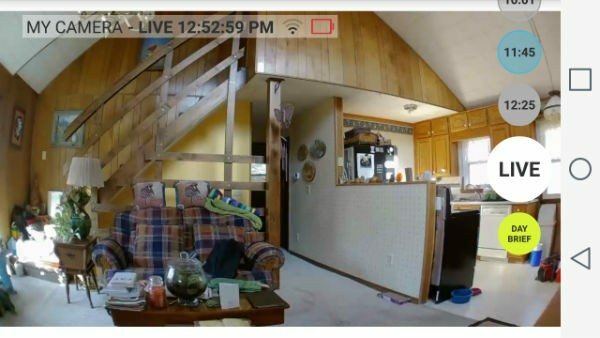 Which one would you recommend as the “better” camera in terms of picture quality: Logitech Circle, Nest/Dropcam or FLIR Fx? I don’t have the latest Nest. I have the Dropcam Pro. 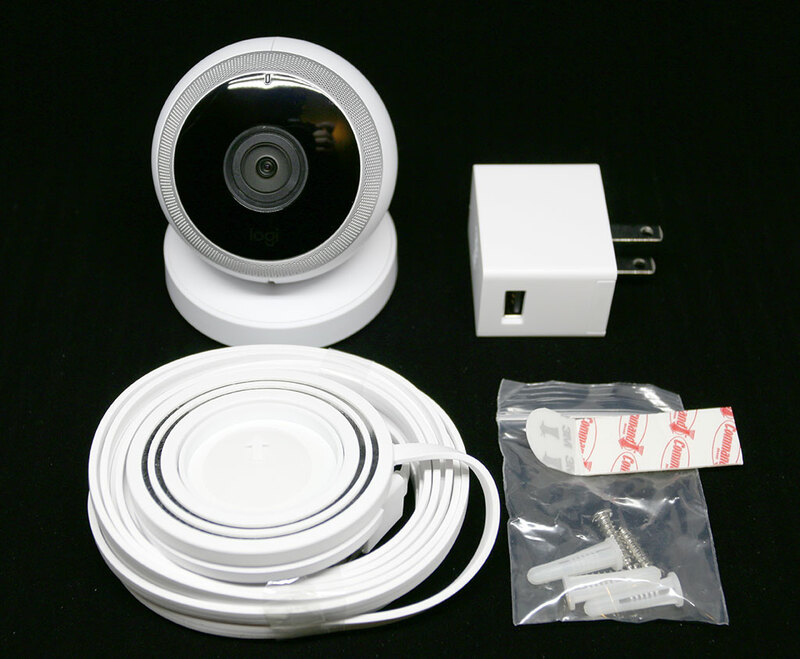 So my order with best first would be Flir FX, Dropcam Pro and Logi Circle. But I’ve been getting really disappointed with the Dropcam for the last few months. The web viewer is unusable because it’s so slow. Flir FX just had a firmware update. I need to try it again. I can’t make up my mind if I like the Logi’s day brief better than the Flir’s rapidrecap feature. Both are really cool. The Circle 2 is coming soon. But there appears to be many shortcomings with it. Its app appears not to operate like the old Logitech Alert Commander did for the 700 series. That program would grab motion detection videos and store them locally. Then one could zip through them on high speed and review a whole day’s actives in a matter of minutes. 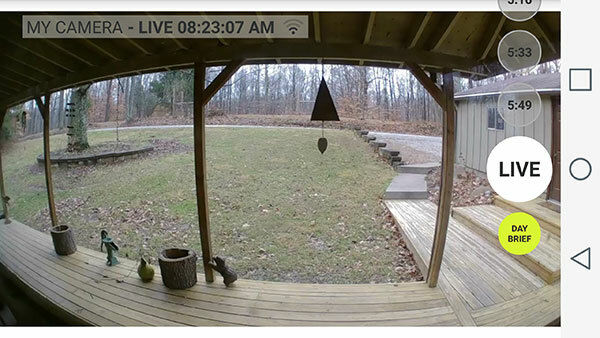 It remains the best software for security cams I have ever come across. 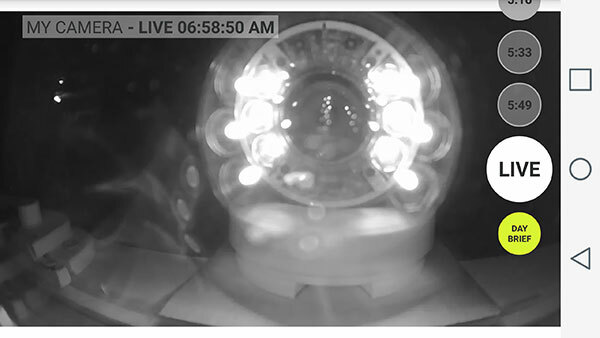 If one can’t store motion detection video locally and indefinitely and review the footage on high speed, well…. Third party apps such as Blue Iris will probably pick up the slack in this regard in short order. But Blue Iris misses much of the activity that my current cameras (Trivisions) detect. Meaning that I often have to go to them and sort through clips one by one the get the whole picture. My recommendation to Logitech? Make the Alert Commander software work with Circle 2 and give up dreaming of a big payday from cloud subscriptions for the Circle 2. Does anyone have any idea how one can acquire the IP address for the Logi Circle? Open your router admin pages, and look for the Circle camera listed in the Attached devices table.